1. Pre-Study - To obtain a General Boat and/or PWC licence requires pre-study of the boating rules and regulations. The cost for the complete General Boat Licence course including Practical conducted in one session over 4 to 4 1/2 hours is $255.00 for an Adult and $195.00 for a Young Adult (12-16 years). Young Adult boat licence candidates (12-16 years) must sit the same written assessment as Adult General Boat Licence candidates however when they reach the age of 16 years their licence automatically converts to a full licence without further training or assessment. For safety reasons we do not collect Boat Licence course fees on the day therefore pre- enrolment and pre-payment of course fees is required. Courses are conducted on a weekly basis. (Please see current availability in the right hand column). Some pre-study is required prior to attending a course and we recommend that you should enroll at least 3-5 days prior to the course to allow sufficient time to read the required rules and regulations. When enrolment is completed we provide candidates with access to our websites which we have developed that assist greatly in understanding the rules and regulations. These websites have contributed greatly to our acheivement of a very high percentage of candidates obtaining their licence on the 1st attempt. Something we are very proud of! We can conduct private Boat Licence courses from 2 to 6 persons on a day to suit you (subject to vacancies as we do lots of training). Private Boat Licence bookings require pre payment and pre study and cannot be booked online. Please call us on 0434803687 to make a booking. Would you prefer to obtain your Boat Licence using the Boat Licence Log book method? If you have completed a Boat Licence Log Book, or would prefer this method, then you just need to complete the The Theory and Exam components. This can be completed over a 2 hour session and the cost is $195.00 per person. The NSW Maritime Personal Watercraft (PWC) Licence, which is commonly known as a Jetski Licence, is a seperate licence to the NSW Maritime General Boat Licence. The PWC (Jetski) Licence course can be completed at the same time as the Boat Licence course and takes about an additional 1 hour and cost an extra $75.00. Copies of the testimonial transcripts are on file in our office. "Hi Peter, The Boat Licence course I attended today was so well run and enjoyable, I was actually shocked. I didn't expect to learn as much as I did and all the extra tips you gave and demonstrated, not for the exam, but for our boating enjoyment, made this course so valuable. I would highly recommend you to everyone, and now believe a refresher course should be compulsory as so many laws change over time. I thank you for your professionalism and pleasing delivery of all the info required to pass the test. 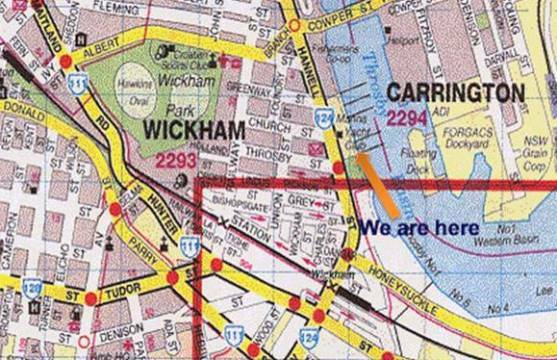 Well done"
"Hi Peter and Derek, thank you for all your assistance with the NSW Maritime Boat Licence course. I would like to compliment you both on a professional well organized training course. Your attention to detail and forward planning made the day most enjoyable and allowed for a stress free exam. Rest assured I would not hesitate to recommend your services and certainly would look no further should I require any additional training." "The Knowledge and skills I have learned opened my eyes to a new side of the boating industry." "Excellent Course, concise trainers and a great atmosphere to train in." "This is the most impressive experience I've had in training, development and leisure in the past 10 years as a professional." "The course was run very professionally with instructors willing to help and answer questions. Reference material was also very good." "I thought the course was quite well set out and things weren't left to the last minute. I enjoyed doing everythng "Hands On" so don't change anything in the course. I feel very qualified to work on any commercial vessel now!" "Thank you so much for a great opportunity to join the GPH course and your great support throughout the course. I was very impressed how professional you are and as Derek told me, you are a really good teacher. Thanks again to both of you. Looking forward to experiencing my new knowledge in the real workplace"
"Im really really happy with my results. The program you have going is absolutely brilliant and the way you conduct the course is very professional, and the time you spend with learning and revision was a very big help. Thanks again and hope to see you guys in the near future"
I am very pleased to say that I passed my Coxswain exams 1st go and I am extremely happy. I will be recommending All Hands on Deck Maritime Training to any of my colleagues that decide to follow me in Coxswain studies." 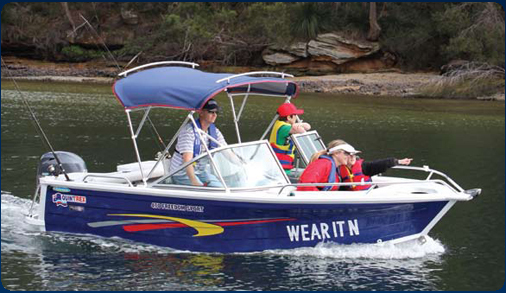 The NSW Maritime Boating Regulations require that a vessel must have a marine radio on board	when proceeding more than 2 nautical miles from the coast. As any responsible boat operator will already know Mobile phones are an unreliable means of communications and are not recommended by regulatory authorities. Therefore is it critical from a boat safety perspective to have a marine radio on board during all boating activies whether in enclosed or open waters. Current VHF radios incorporate Digital Selective Calling (DSC) allowing for emergency and routine contact to be made through alert sounds rather than voice. The Short Range Marine Radio Operators Certificate of Proficiency known as SROCP (previously MROVCP) which is designed for those who are only carrying and/or operating a Very High Frequency (VHF) (Short Range) radio. Basically if you intend travelling more than 40 miles from the coast, or applying for a commercial qualification such as a Coxswain or Master V, you should obtain the Long Range Marine Radio certificate known as LROCP (previously MROCP). If you are operating in the harbours and bays or staying near the coast then an SROCP Certificate will be sufficient. Regardless of which certificate you wish to apply for if you are a Boat Owner and you wish to upgrade your MF/HF or VHF Radio to a Digital Selective Calling (DSC) Radio, which is the perferred type of radio to carry, you will not be able to register the radio and obtain a Marine Mobile Service Identity (MMSI) number for the radio unless you obtain your Marine Radio Certificate first. All Hands on Deck is a Registered Training Organisation (RTO) with the Australian Skills Quality Authority (ASQA) and an Registered Provider of Maritime Training with the Australian Maritime Safety Authority (AMSA). We have been conducting maritime training since 1997 and train over 1500 candidates each year in a wide variety of maritime course. Marine Radio (MROCP) A Marine Radio Certificate is required if using a VHF or DSC VHF radio.